< Previous Post Previous post: Opinion Zone 12: Where are the Sonic fangirls? I have that exact Super Sonic plush! Coolness! 😀 I wish I could go to these conventions. Absolutely nothing against Weston Super Sonic, but I feel that kickstarters are just running rampant these days, like, EVERYONE has a kickstarter. Kickstarters are good, but they shouldn’t be overused. 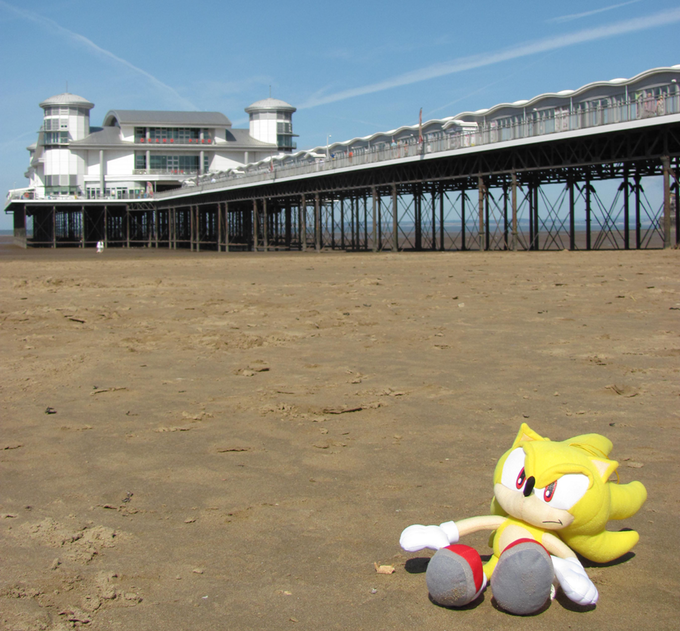 What the hack why is Super Sonic Plushy is sitting on the sand of Western Super Sonic Event 2016 it’s like umm they place it Super Sonic Plushy photo where it’s local here in England. On one hand I wish I could go because, well, any Sonic event is better than nothing to me since I never get to go to any social events as we don’t get any of the type I would enjoy locally to me but on the other hand, I know this event mostly relates to the Fleetway comics which I personally don’t like. 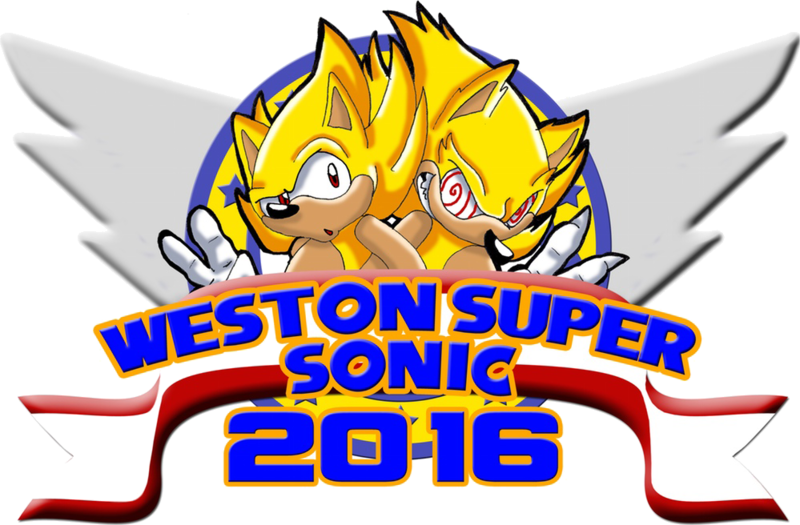 Weston Super Sonic is not an exclusively Fleetway event. The reason it was a major part of 2015 is because in the UK it is a lot easier to get together special guests from Sonic the Comic than it would be to get people who worked on the games from Japan or people who work on the Archie series in America. In 2015 we had a special Skype interview with Mike Pollock. We also had Duncan Gutteridge join us, who worked on a lot of the really famous pieces of classic art we see around. JonoD is correct with the reason we pick Fleetway super. He is the English version of Super Sonic that as lot of us grew up with and is a bit of a fan favourite. So it only seemed right for him to be represented at a Super Sonic event.